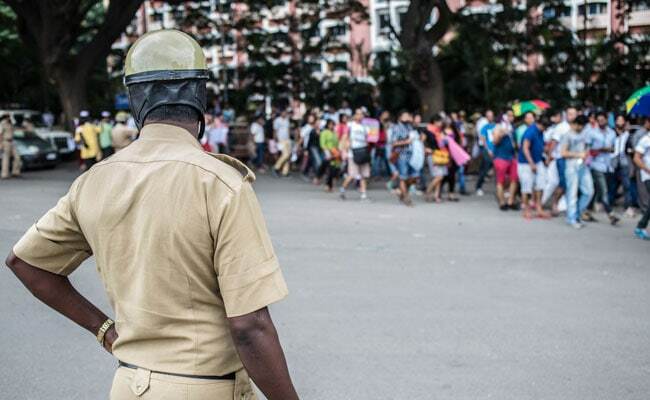 The incident took place around 3 am when the aspirants tried to rush into BMP Ground through the Police Lines gate to take part in a run, on the fifth day of the recruitment drive, police said. Dehri on Sone: A stampede broke out during an army recruitment drive in Dehri on Sone in Bihar's Rohtas district in the early hours today, in which one person was killed and four others were injured, police said. The incident took place around 3 am when the aspirants tried to rush into BMP Ground through the Police Lines gate to take part in a run, on the fifth day of the recruitment drive, Superintendent of Police MS Dhillon said. The deceased has been identified as Mukesh Kumar from Gaya district, he said. He was declared dead on arrival at the hospital. Mr Dhillon said he was among the five people who suffered injuries in the stampede. The four others -- Vimlesh Kumar, Devbrat Kumar Shyamnandan Kumar Verma and Dharmendra Kumar -- were undergoing treatment at the Sadar Hospital in Sasaram, where their condition was stated to be out of danger, the senior police officer said.